We are all travelers in the wilderness of this world and the best we can find in our travelers is an honest friend. 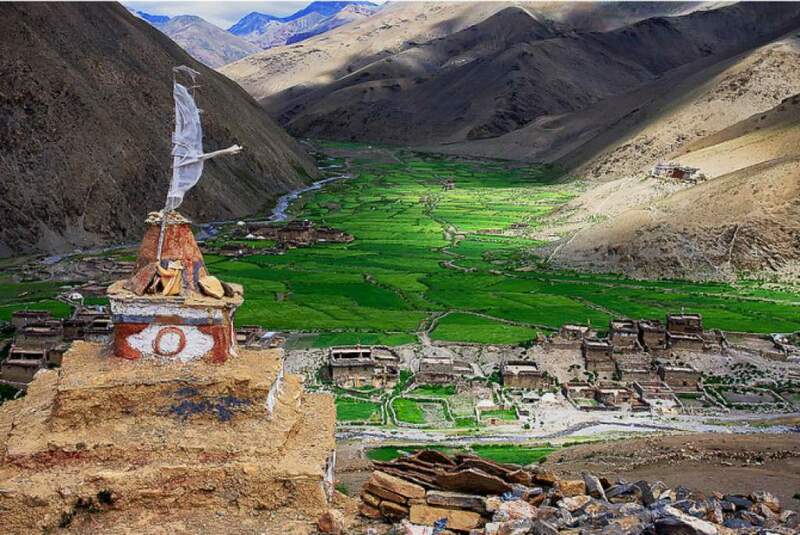 Dolpo to Mustang trek is an absolute exploration of the hidden gems of the isolated trans-himalaya region of Nepal, which is popular for its remote cultural and natural beauty. The primitive lifestyle of Dolpo people revolves around Tibetan influence language and cultures for centuries and known to practice Buddhism. Dolpo and Mustang area falls in the trans-himalaya region and experience little rainfall in monsoon season, and have dry barren landscapes with an average elevation of 3000m above sea level. Both areas were restricted to foreigners until 1989 and now attract relatively least number of travelers than another region. There is something for every kind of travelers in three weeks Dolpo to Mustang transverse trekking route as it is covered with beautiful forest and tranquil lakes, a wide range of floras and faunas, awesome mountain views and adventure passes, ancient Buddhist monuments and monasteries throughout the trail. 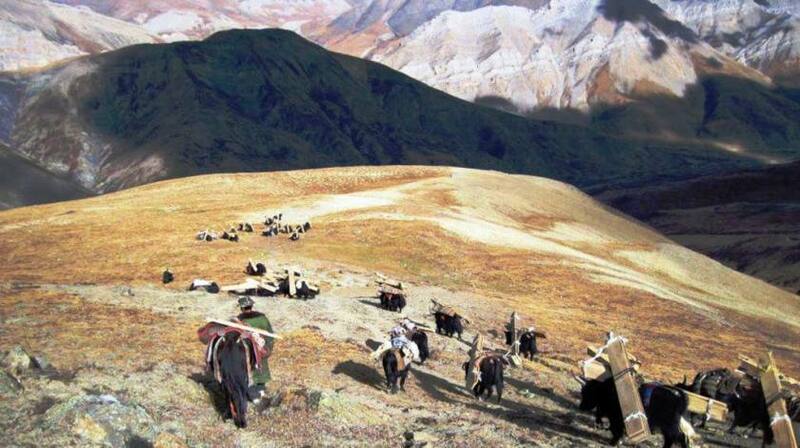 Trekking from Dolpo to Mustang is an exceptional opportunity to experience the uneaten thrill of adventure amid unique people of the mystic trans-himalayas land. Several high elevations pass between beautiful valley, alpine meadows and soaring view of snow-capped peaks and landscapes shape this journey into three weeks of lifetime adventure in Nepal. Dolpo to Mustang Trekking is wonderful journey in northwest Nepal, starting with flight from Nepalgunj to Juphal and follow Phoksundo Khola to reach Shey Phoksundo Lake before crossing Baga La and Numa La Pass to arrive at Dho-Tarap Gaon and further towards Charkha Bot to continue to trek ending point Jomsom Valley after crossing Niwar La and Jungben La Pass. We will click more pictures of the stunning view of sunset and panorama of Dhaulagiri range before flying to City of Lake — Pokhara.